Kindle your enthusiasm for science, and meet new people at Science on Tap, a monthly science café. In honor of Valentine’s Day our February Science on Tap program is bringing you a story of love straight out of the animal kingdom. We’ll be talking about horses and birth control—or more particularly, birth control for horses. That’s right. 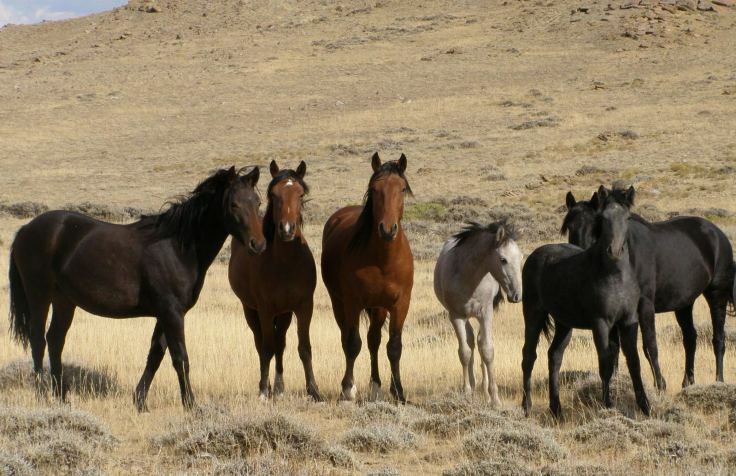 You’ll learn about how birth control is used to manage the populations of wild horses and burros on federal land. Swoon over the history of this important program’s development, and fan yourself as we cover such romantic topics as environmental science, politics, and the role of scientific authority in legal proceedings. So grab your date or a group of friends, and spend a dreamy evening with your neighborhood science nerds. We’ll have special valentines, a horse-themed Spotify list, and best of all, a lively lecture from historian of medicine and public health Rebecca Kaplan, Cain Fellow at the Science History Institute. Rebecca Kaplan is a historian of medicine and public health. Her research interests include animal health and disease, One Health, and global health. While at the Science History Institute she will be exploring how pharmaceuticals are developed, marketed, and used across animal populations. Rebecca holds a PhD in the history of health sciences from the University of California, San Francisco, and an MS in epidemiology from the University of Texas School of Public Health. Before joining the Science History Institute, Rebecca was the Mellon/ACLS Public Fellow at the Pulitzer Center, and she taught at UC Berkeley, Michigan State University, and UT Southwestern Medical School.